Nissan Motor Company Limited, a Japanese automobile manufacturing company is setting up a diesel engine production facility in Oragadam, Chennai next year. Mr. Sunil Reikhi Chief Financial Officer at Nissan said that this facility will be operational in the beginning of 2012. The Sunny’s diesel trim level will be the first to be introduced out of this plant. 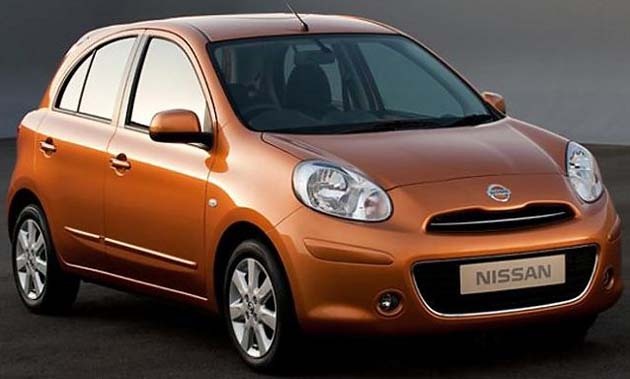 At present, diesel engines are being imported from Europe for Nissan Micra. Mr. Reikhi added they are looking at maximum localisation through this new facility. The Nissan-Renault partnership is mutually investing in diesel facility. The partnership created in the year 2008 had stated a total outlay of Rs. 4500 crores for 7 years. The current facility in Chennai has 2,00,000 units of capacity annually, which will go up to 4,00,000 in 2012. Mr. Reikhi also said that Nissan Motor Company Limited has large plans for India, and 2012 will see the introduction of Sunny diesel with quite a few utility vehicles. The company will launch the diesel variant of Sunny in Delhi at the upcoming Auto Expo. In 2010, Nissan marketed around 13,000 units. It had claimed 40,000 in 2011. It also hopes to more than double sales in 2012. At present, Nissan has 47 dealers, and by the end of 2011, it hopes to be seventy with double dealership network in 2012. State Bank of India guarantees customers automotive loans at the rate of 11.75% fixed and 11.25% floating, which is lower as compared to the current market rate. The tie-up will also provide loans to dealers. The company has financial tie-ups with Kotak, HDFC and ICICI. Nissan Motor Company Limited, typically shortened Nissan as a multinational Japanese automobile manufacturing company situated in Japan. It was originally a core member of Nissan Group, but has now become more independent after the restructuring under Carlos Ghosn, Chief Executive Officer. In Japan, Nissan became the 2nd biggest automakers in 2011, surpassing Toyota and Honda. It produces range of luxury models branded as Infiniti.